When it comes to repairs, we try to make life easy for you. If you don't live nearby or don't have time to drop off the equipment you can ship it to us! Or just drop by any of our locations and we can assist. Our in-house repair shop is open seven days a week to serve you! We also are the only non-factory service center in the United States that offers a full one-year warranty on nonprofessional-use 35mm equipment. Mike’s Camera’s skilled technicians can fix most equipment, old or new. We service point and shoots, video cameras, mirrorless cameras, dSLRs and more. We can repair most models--from the latest in technology to antique equipment - as long as parts are available for that model. If you are located in Colorado and have questions about the reparability of your equipment, call us at (303) 443-1715 x125 or e-mail us at repair@mikescamera.com. If you are located in California and have questions about the reparability of your equipment, call us at (916) 444-6080 or e-mail us at carepairs@mikescamera.com. Before bringing us your equipment or sending it to us, please see our answers to frequently asked questions. Also, be sure to check out the terms and conditions of our limited warranty on repairs. Unlike a film camera where a new frame of film is used for each shot, your digital camera sensor can over time build up a film of oil and grime that can reduce the sharpness and color saturation of your images. Even if you are not seeing evidence of dust on your sensor it is often a good idea to have your sensor checked and cleaned annually. 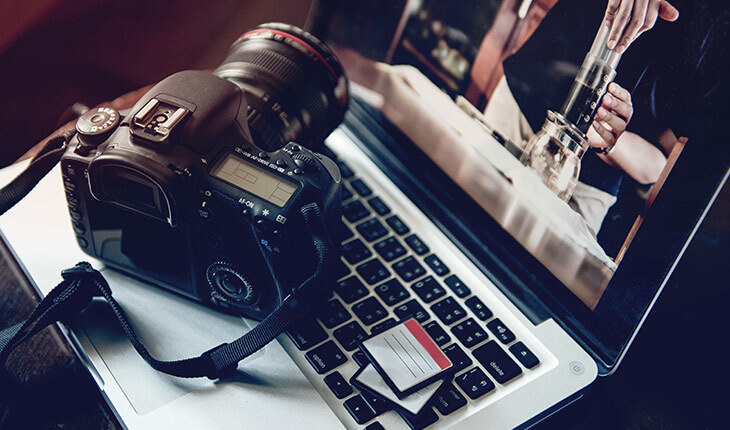 We perform quality in-house digital sensor cleanings on digital SLRs and mirrorless interchangeable lens cameras. 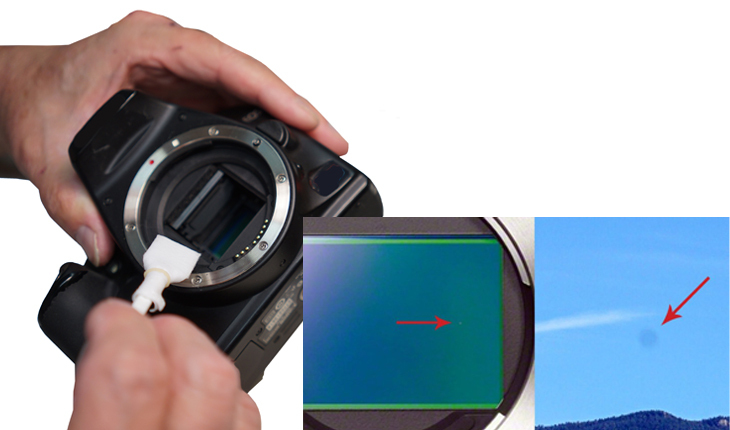 While cleaning your sensor we will also inspect your camera and do an external cleaning at the same time. Is there anything I can do to fix the equipment myself? First, check the batteries or other power source. Make sure batteries aren't in up-side-down and that they are fresh. Then, make sure that the battery has not oxidized, creating a film between the battery and the contact. Use a pencil or ink eraser to clean the contact. Unless you are a trained technician, please don't try to take the equipment apart, because you could cause additional problems. Instead, give us a call. If my equipment needs servicing, where do I drop it off? You can drop of your equipment at any of our 5 Colorado locations or 5 Northern California locations. You can find all store locations and contact information by clicking here. Should I include anything with the equipment? You can pay any final balance on the repair by credit card, cash or money order. If I'm going to ship my equipment, how should I pack it? Use a minimum of four inches of packing material around the product. Do not use the original shipping container. Does it matter how I mail the package? Yes, be sure to use an insured mail service, such as UPS. Where should I ship it? To our Colorado repair shop at 2500 Pearl Street in Boulder, CO 80302. What happens after I ship you my equipment? We will take a look at the equipment, then call you or e-mail you with a repair estimate. We must get your approval before we do any repairs. Once we get approval, we will do the repairs. Then, we'll call or e-mail you and tell you the total cost of the repair. How will I get my equipment back? You can either pick it up from our repair shop, or you can arrange to pick it up at one of our other convenient locations. Or, we can ship it to you. If you choose to have it shipped, return shipping will be added to your repair bill. Equipment will be returned to you once payment is received. Mike's Camera, Inc., provides precision maintenance and service to photographic, video and audiovisual equipment, and warrants that workmanship shall be free from defects for one (1) year, and parts guaranteed for thirty (30) days. Only parts and labor used in the original service are warranted. Video decks, recorders, camcorders and digital equipment repair service shall be free from defects for ninety (90) days, and their parts guaranteed for thirty (30) days. This limited warranty covers the services performed only, and does not cover losses or damages occurred as a result of abuse, mishandling, neglect or failure to follow operating instructions. Leaking batteries, sand damage, moisture, water or other liquid spills void the existing warranty. Service by any person other than an authorized Mike's Camera, Inc., technician, tampering, or modifications made to equipment also cancels warranty. Other agents that would void this warranty include, but are not limited to, shipping and handling damages, accidents, exposure to extreme temperatures, improper electrical power, or acts of God. Equipment and products that are used under commercial applications including, but not limited to, hotels, schools, hospitals, rental firms, military operations, and any other governmental or industrial application are covered under a thirty day (30-day) parts and labor warranty. Equipment that has serial numbers removed, altered, defaced, or rendered illegible is not covered by the Mike's Camera, Inc., limited warranty. Mike's Camera, Inc., shall not be held liable for any loss of film, video tape, image, projection bulbs, or for expenses, inconveniences, or any other consequential damage caused by the failure of any equipment repaired. Our sole obligation is repair of the equipment. Should repair of the equipment under warranty prove uneconomical, or parts no longer be available, Mike's Camera, Inc., will refund the original repair costs. This warranty is valid within the United States of America only. To obtain service under this warranty, please return the equipment freight prepaid and insured to Mike's Camera, Inc., along with receipt of the original repair. Mike's Camera, Inc., will pay the return freight charges back to you via ground carrier within the continental United States. Any air freight or expedited carrier shipping request will be billed accordingly.